After 48 hours of angry emails, comments and protests, Microsoft has reinstalled its Live Maps service to UK internet users. 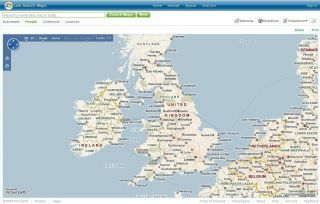 Microsoft has claimed that the bungle – which forcefully redirected UK web users looking to log on to Microsoft’s Live Maps service to MultiMap instead – was down to gremlins in the system and not a deliberate policy. While readily admitting that it had intended to drive UK traffic to its MultiMap site in order to highlight a number of UK-specific feature upgrades, Microsoft remains adamant that it was never the intention for the redirect to look like it was being forced upon users. Unfortunately for Microsoft, that’s exactly what it did look like though. Until the bug was removed UK users had to fool the Live Maps servers into believing their request was coming from the US, otherwise they were automatically redirected to MultiMap – even if they’d typed Maps.Live.Com into their browser window. The apparent withdrawl of the service led some UK users to fear that the Live Maps Collections they’d built up had been lost and it wasn’t long before disgruntled UK users were airing their grievances in substantial numbers on the official Live Maps Blog. Some users even organised a dedicated Facebook group calling for the reinstallation of Live Maps in the UK. Eventually forced to relent, Microsoft has now apologised and switched off all the automatic redirects off while it fixes the ‘bug’.